They don’t see your pain, but I do. I’ve been rocking with you ever since you told me to walk with Jesus, to get on your workout plan and that you’d never let me down. However, you’ve seemingly fallen short on the latter, and you have let me down, more times than I’d ever like to admit. I don’t like to make excuses for people, but I do know that what we’ve seen play out in your life these last couple of years is a direct result of your Mother’s death. 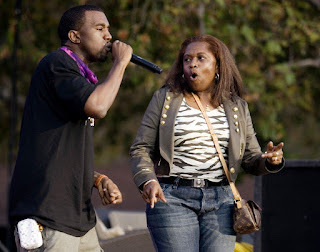 I’ve heard the critics and naysayers, weigh in on numerous occasions saying that Yeezy, should have gotten over his Mother’s death many moons ago, and that his rants and erratic behavior shouldn’t be placed on the death of his mother. Well, guess what? They’re wrong!!!! There’s no expiration date on grief, especially when that grief is tied to the loss of your Mother. I know your mother, Donda West, was not only your direct link into the world, but also your best friend, biggest supporter, and confidante. We saw Donda infused in your music. 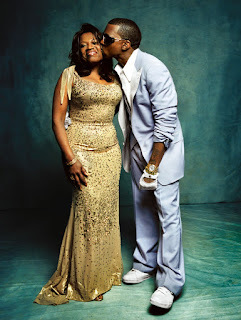 We saw Donda grace the red carpets with you. We saw ya’ll express in countless interviews ya’ll love for each other. It was real, so real, that when your Mother left this Earth we all felt it. At least I know I did. A shift took place. There was a shift in your countenance, your behavior, and your music. And it’s no secret that your Mother’s death shook you to the core. So to all you Critical Carol’s and Negative Nancy’s, understand this: A mother’s death can make you lose your mind. A mother's death can make you want to die. (Please refer to Bobbi Kristina Brown, if you think I’m lying) Going on with life seems like such a chore, and if you do decide to go on, it will never be in the same essence to which you lived before. Kanye, I love you and I don’t want you to die. I don’t want your mind to wander and you drift off to the dark spaces of your mind; where the void is so great, you just want to disappear, because no one seems to understand. But, guess what Ye’, I do understand. Please find joy in your memories and find peace in the eyes of your children. It’s hard Ye’, I know it is. I recognize your hurt and sorrow, but you must also recognize it too. Don’t bury yourself in grief, don’t hide your grief, press through it, and most importantly don’t let those negative thoughts overtake your mind. 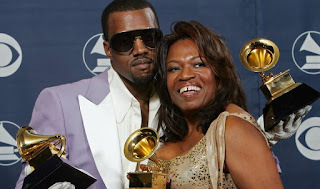 Be encouraged Kanye’, I love you and Donda does too, let her essence and spirit carry you through.